CHESS MASTER book is complete! I am so happy to be able to share my latest book, The Chess Master”. At a first glance you may think it is about the game Chess… which actually you are not too off base. I am a newbie chess player (more like a NO-bie..meaning I am only in my first lesson), but my son, daughter, and many of my friends are obsessed with the game. I did a lot of research for this book and discovered that most chess players understand that chess is more than a game that moves pieces, but correlates to the game of life. Some pieces are sacrificed, some cherished and some simply used to strategically elevate you to the next move. My latest book gives a unique comparison of the game of chess to real life. Each piece on the chessboard mirrors our lives as relates to our Mothers, Fathers, our homes, the church, ourselves as workers and our Protector. In the game of chess, the player moves the pieces. 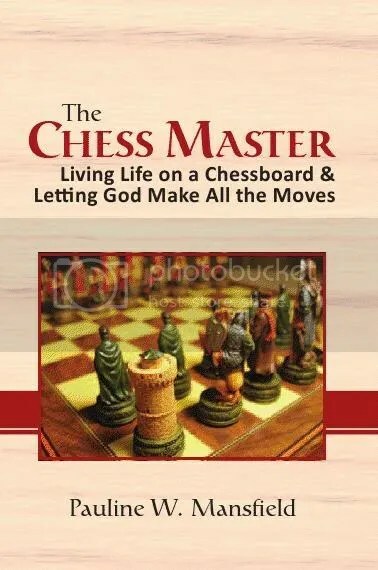 In The Chess Master book, God makes all the moves and WE are the pieces. This entry was posted in Active Content. Bookmark the permalink. 4 Responses to CHESS MASTER book is complete! Good job sister! You. Are very inspiring! Thank you my brother and I thank you for encouraging and enlightening me time & again. I just start looking at this book and i can relate to some of the stories. This is truly an awesome book, i hope the world is ready for this new prophecy.